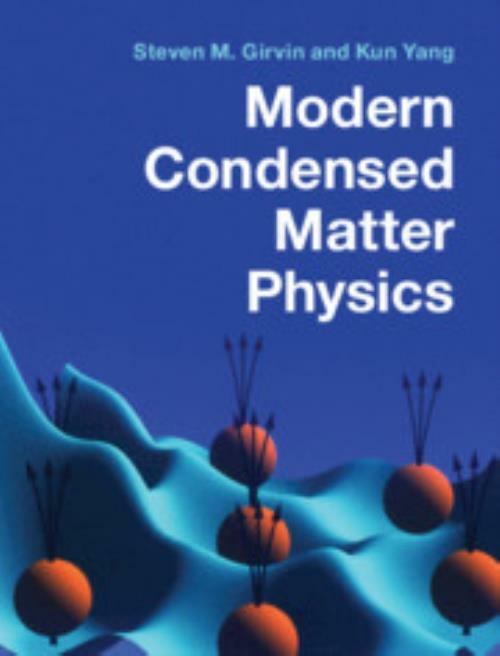 Modern Condensed Matter Physics brings together the most important advances in the field of recent decades. It provides instructors teaching graduate-level condensed matter courses with a comprehensive and in-depth textbook that will prepare graduate students for research or further study as well as reading more advanced and specialized books and research literature in the field. This textbook covers the basics of crystalline solids as well as analogous optical lattices and photonic crystals, while discussing cutting-edge topics such as disordered systems, mesoscopic systems, many-body systems, quantum magnetism, Bose–Einstein condensates, quantum entanglement, and superconducting quantum bits. Students are provided with the appropriate mathematical background to understand the topological concepts that have been permeating the field, together with numerous physical examples ranging from the fractional quantum Hall effect to topological insulators, the toric code, and majorana fermions. Exercises, commentary boxes, and appendices afford guidance and feedback for beginners and experts alike. 20. Microscopic theory of superconductivity; Appendix A. Linear response theory; Appendix B. The Poisson summation formula; Appendix C. Tunneling and scanning tunneling microscopy; Appendix D. Brief primer on topology; Appendix E. Scattering matrices, unitarity and reciprocity; Appendix F. Quantum entanglement in condensed matter physics; Appendix G. Linear reponse and noise in electrical circuits; Appendix H. Functional differentiation; Appendix I. Low-energy effective hamiltonians; Appendix J. Introduction to second quantization; Bibliography; Index. Steven M. Girvin Yale University, Connecticut. Steven M. Girvin received his B.S. in 1971 from Bates College and his Ph.D. in 1977 from Princeton University. He joined the Yale University faculty in 2001, where he is Eugene Higgins Professor of Physics and Professor of Applied Physics. From 2007 to 2017 he served as Deputy Provost for Research. His research interests focus on theoretical condensed matter physics, quantum optics and quantum computation; he is co-developer of the circuit QED paradigm for quantum computation. His honours include: Fellow of American Physical Society, American Association for the Advancement of Science, American Academy of Arts and Sciences; Foreign Member of the Royal Swedish Academy of Sciences, Member US National Academy of Sciences; Oliver E. Buckley Prize of the American Physical Society (2007); Honorary doctorate, Chalmers University of Technology (2017); Conde Award for Teaching Excellence (2003). Kun Yang Florida State University. Kun Yang received his B.S. in 1989 from Fudan University and his Ph.D. in 1994 from Indiana University. He joined the faculty of Florida State University in 1999 where he is now Mckenzie Professor of Physics. His research focuses on many-particle physics in condensed matter and trapped cold atom systems. His honours include: Fellow of American Physical Society, American Association for the Advancement of Science, Alfred Sloan Research Fellowship (1999), Outstanding Young Researcher Award, Overseas Chinese Physics Association (2003).